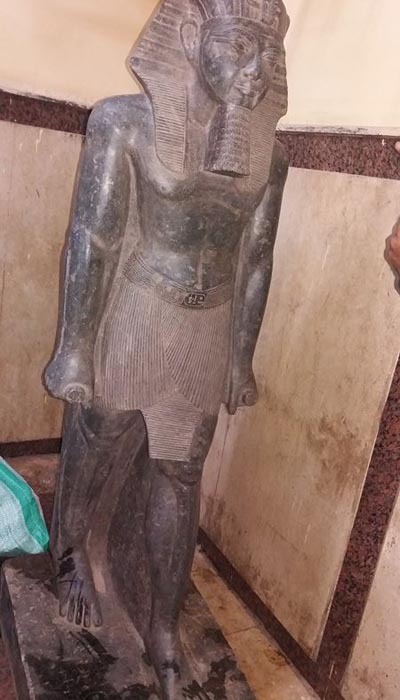 In collaboration with Edfu police, Egypt's antiquities ministry has succeeded in recovering a black granite colossus of the 18th Dynasty King Amenhotep III. 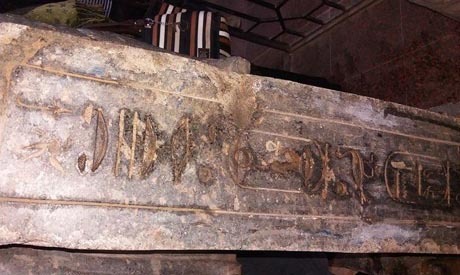 Minister of Antiquities Mamdouh Eldamaty told Ahram Online that the statue was found by chance when Edfu police entered a residential house in the Upper Egypt village of Al-Nakhl in Edfu, Aswan, to catch red-handed weapons and drugs traders. He went on to say that after inspecting the statue the ministry’s archaeological committee verified its authenticity. The statue is now in an antiquities storehouse in Edfu for restoration before transferring it to be put on display in Luxor Museum. Investigations are also pending to know where the statue was taken from, likely in illegal excavations. Nasr Salama, director of Aswan Monuments, explained that the statue is carved in black granite and depicts King Amenhotep III standing with his left leg forward wearing the short skirt and a nemes headdress. The middle part of the statue and its reverse side are engraved with hieroglyphic text while its base is decorated with the king’s various titles.